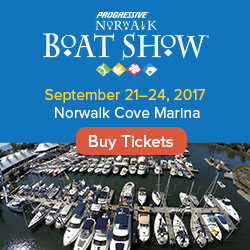 For the latest installment of the Daily Boater's weekly Marine Product Review, Mark Sutton of MarineProductReviews.com had the opportunity to check out Carver custom boat covers courtesy of the SavvyBoater.com team. Anyone who has ever thrown a tarp over a boat (don’t be embarrassed, we have all done it) knows the importance of a good fitting cover. Carver boat covers can be custom ordered for your make, model and year of boat. We tested the Carver boat cover on a 1970 13’ Boston Whaler and the Carver cover that we ordered fit like a glove. 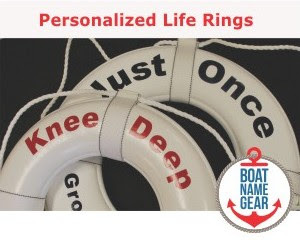 SavvyBoater, a reseller of Carver boat covers, provides a truly outstanding online resource for helping you find the perfect fitting cover for just about any boat here: Boat Cover fitting resource. It even accounts for different bow and side rail configurations. Fit is essential for keeping the elements out and is essential if you keep your boat on a trailer and will be towing it with the cover on. If you are looking to find the right boat cover for whatever boat you have, Carver makes it easy. To really make the cover fit like it was tailored, Carver covers are made with reinforced tie down points that allow you to secure the cover snuggly to your boat. There is also a heavy duty 1/4″ draw rope encased in the transom area of the hem for getting that perfectly snug fit. All Carver covers come with engine covers that are either built in or separate. Back to that tarp for a second….any one who has ever put that tarp on their boat knows what a pain it can be. The bigger the boat, the bigger the pain. And, if there is any wind, forget it. The Carver Cover can be easily installed by a single person. I single-handedly covered the 13’ Whaler in under 2 minutes…while it was in the water. Couldn’t have been faster or simpler. This is key if you trailer your boat and the covering/uncovering process is part of your routine. When selecting a boat cover, having the right material is essential. If it’s not durable, breathable and UV resistant the cover simply won’t do its job. Carver boat covers are made from Performance Polyguard that is woven by Glen Raven, the makers of Sunbrella, the premium outdoor fabric. The Performance Polyguard fabric is 100% marine grade polyester, engineered for breathability and does not have a coating. “Uncoated” is a key point to look for when buying a boat cover as coated covers tend to not breath as well so moisture is trapped, causing mildew. Also, once the coating comes off (which it will) the cover becomes significantly less effective. The tear and tensile strength of Performance Polyguard is superior to other fabrics (this is important for trailering the boat cover) making them strong and durable. The material is also water repellant, UV resistant and has excellent resistance to fading. Carver uses professional stitching and folds all seams, post and stress points 4 ply for more durable construction and there are no raw edges. This adds to the life of the cover and is essential for anyone trailering a covered boat or leaving it covered outdoors for the winter. Just about anyone with a boat finds themselves needing to cover their boat, whether it’s storing for the winter, while on a trailer in your dive way or even on your mooring. Boat covers serve a number of important functions from keeping it clean to protecting it from the elements. Both serve to prolong the life of your boat and it’s value.